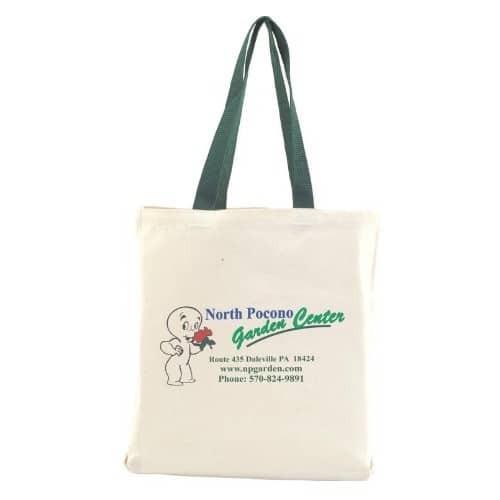 Lightweight economical 100% cotton biodegradable tote bags offered in 2 sizes. 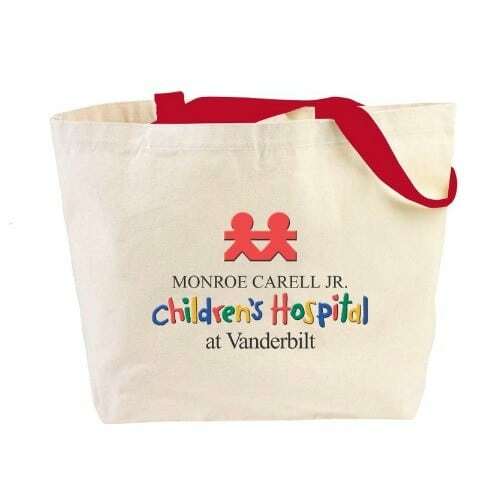 Perfect for convention give aways, openings, special events, gift with purchase, fundraisers, etc. 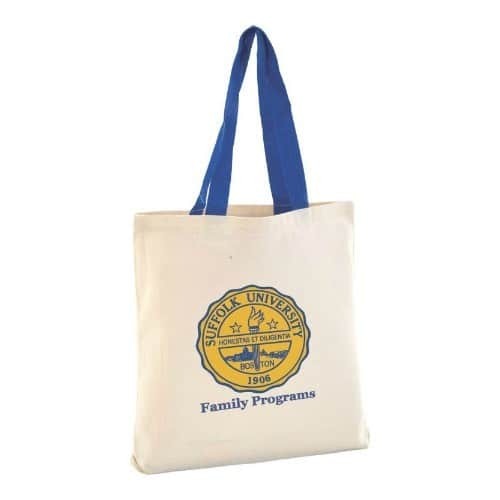 Large imprint area is perfect for advertising any company, product, or event. Eco- friendly at a budget price. 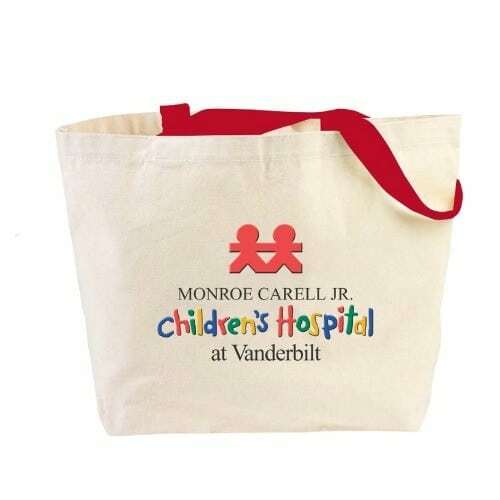 Additional Silkscreen imprint: Add .40 cents per bag for each additional color. Add 60.00 screen fee for each additional color. Heavy ink coverage is not recommended. 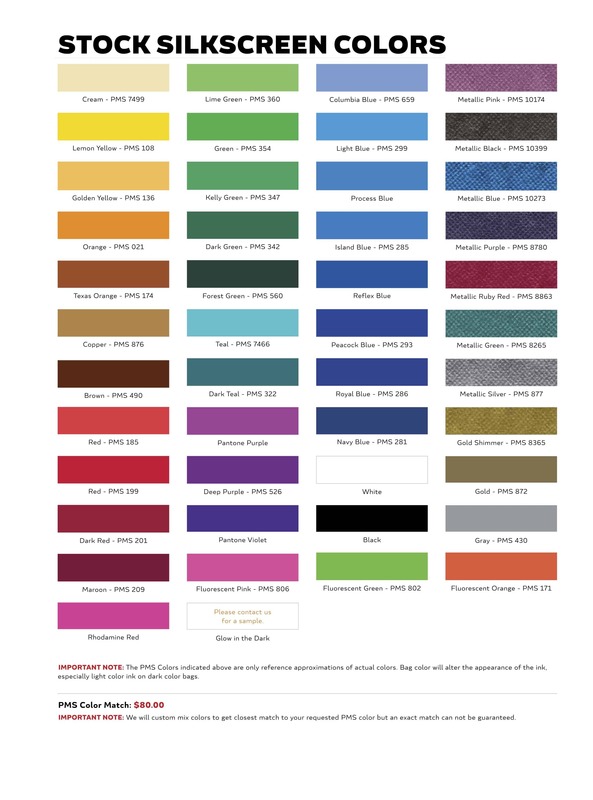 For two colors or more use multi-color imprint pricing. 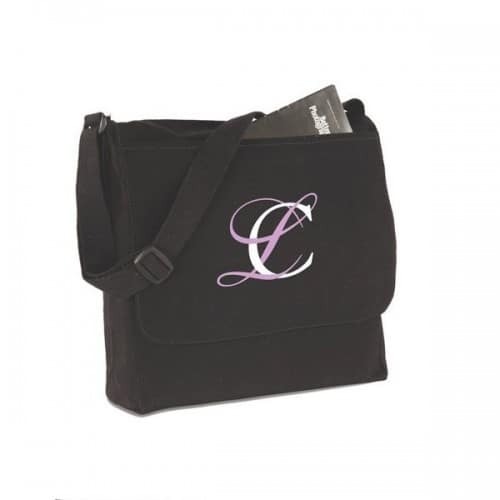 Deduct 20% from above pricing for Plain Bags. 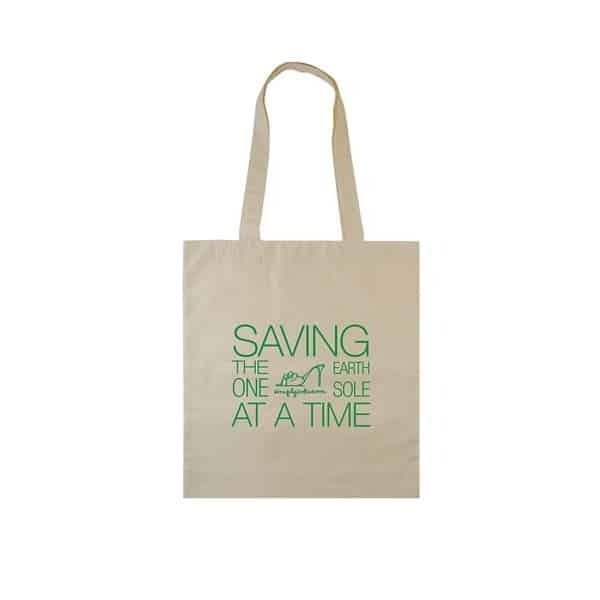 Silk Screen Plate is $60.00 for the second color. For higher quantities please call for pricing. 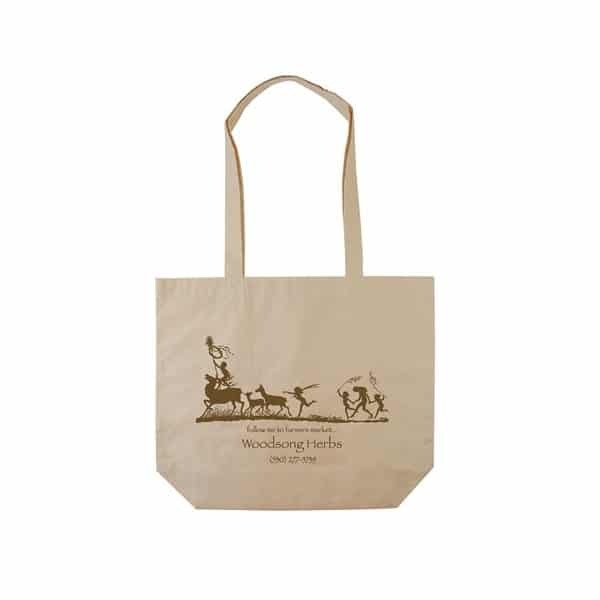 Send artwork to: artwork@bag-ladies.com adobe illustrator, eps file. Please convert all fonts to outline. 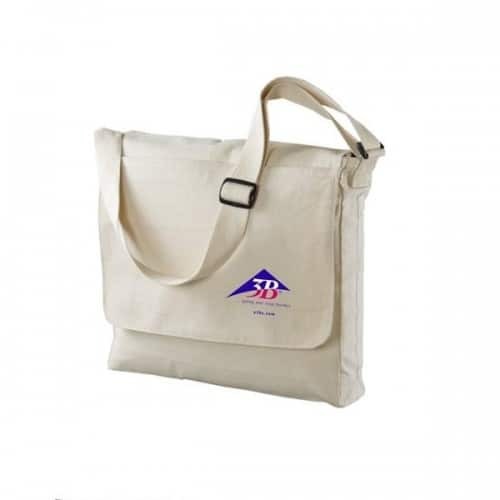 Add’l location imprint charges per case: $125.00/case/100 bags, per location. No Multi Run Color Charges. Price includes full color image on one side. For higher quantities please call for pricing. Send artwork to: artwork@bag-ladies.com adobe illustrator, eps file. Please convert all fonts to outline.